Jeffrey Curnow, Associate Principal Trumpet of the Philadelphia Orchestra, began his career in music as an undergraduate at Temple University, where he was a student of Seymour Rosenfeld, and quickly won a coveted position as Concerto Competition Soloist at the Philadelphia Academy of Music. 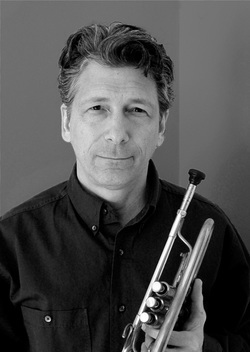 In 1983 Jeffrey was appointed Principal Trumpet of the New Haven Symphony and soon after became a member of the New York Trumpet Ensemble, recording on the MMG/Vox and Newport Classics labels. Four years later he joined the internationally renowned Empire Brass Quintet. Over the course of his tenure with this ensemble he recorded 15 compact discs for the Angel EMI and Telarc labels, appeared on The Today Show, Good Morning America, St. Paul Sunday Morning, Taipei Television, Japan Television, and BBC Television and Radio, as well as performed with such ensembles as the Philadelphia Orchestra, the Chicago Symphony Orchestra, the Saint Louis Symphony, the National Symphony, and major orchestras in Japan and Switzerland. In 1995 Mr. Curnow was appointed Principal Trumpet of the Dallas Symphony Orchestra where on several occasions he has performed as soloist, most recently in a performance of Lowell Liebermann’s Concerto for Trumpet and Orchestra. Not content to limit himself to performing, he is well established as an educator, clinician, adjudicator, arranger and producer. He has taught at Wichita State University, University of Connecticut, University of Scranton, Boston University, the Tanglewood Institute, the Royal Academy of Music in London, and Temple University. Curnow is a native of Pennsylvania, growing up in nearby Easton where his family still resides, and is married to his wife Miyo, also a member of the Philadelphia Orchestra violin section. ​See more about Jeff in our News.